Windows 8, 8.1 and Windows RT comes with so many features in which fast boot is one of the common feature that all we knew. What Microsoft really changed in its boot options? Users who may have used earlier Windows 7’s Advance Boot Options can access it via tapping F8 button just before windows logo appears. 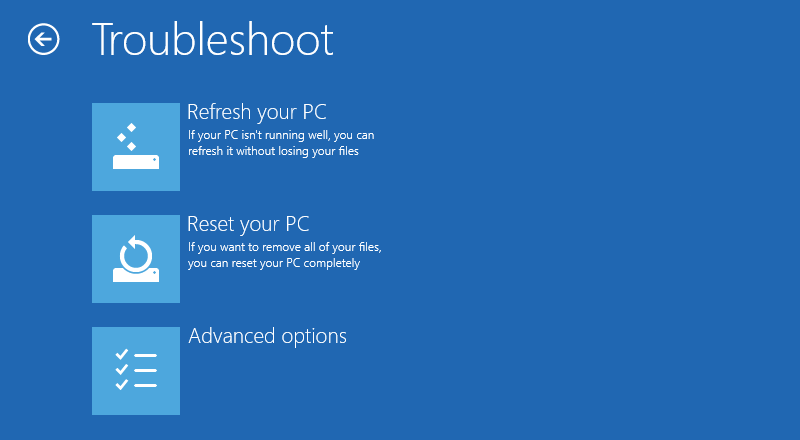 But to enable the fast boot process Microsoft removed this option and enable it in some other way so that Windows 8 can perform faster boot. Here are 5 ways you can access advance startup options in Windows 8. This article is valid for Windows 8 and its all variants. 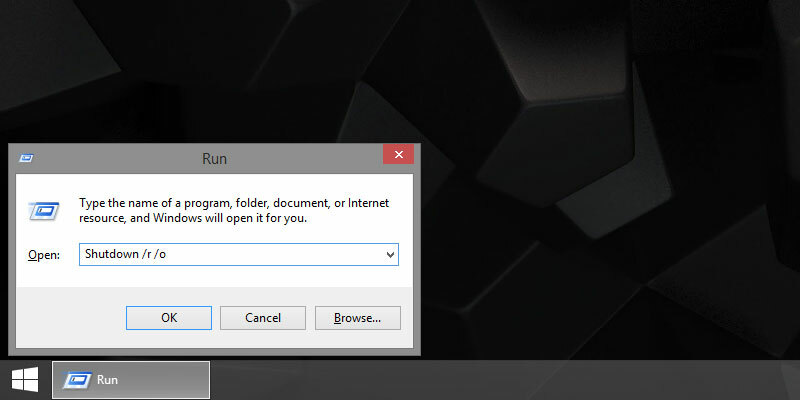 The very first way of accessing windows advance startup option is by run command. If you are able to reach to windows desktop screen then just open Run (Windows Key + R) and type following command in it, Shutdown /r /o and press enter. Make sure that you have no open apps and programs in background or save you data before doing it. It will navigate you to Windows advance startup options directly. 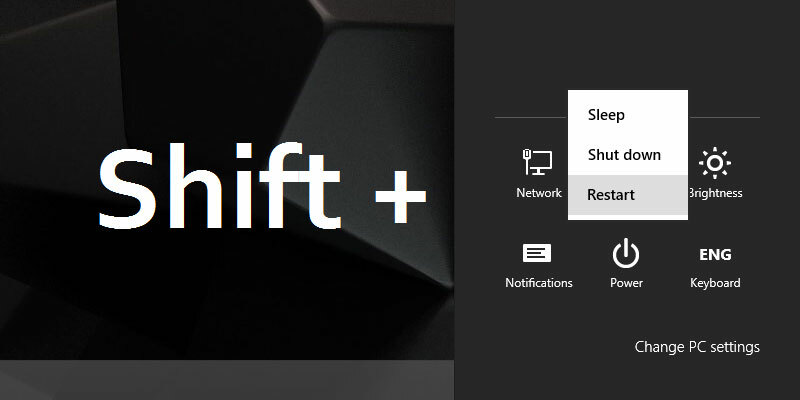 Second way to access advance startup option in Windows 8 is by Shift + Restart Button. For this we need to click on power button then click on restart option while pressing shift button from keyboard. This option also navigate you to Windows 8 advance startup options. Microsoft also made another way of accessing advance startup option in Windows 8 which can be accessed in PC Settings. But in Windows 8.1 the way is bit different than Windows 8; so follow steps according to your windows version. Windows 8 : Open Charms Bar » Settings » Change PC Settings » General » Click on Restart Now Button Under Advance Startup Section. 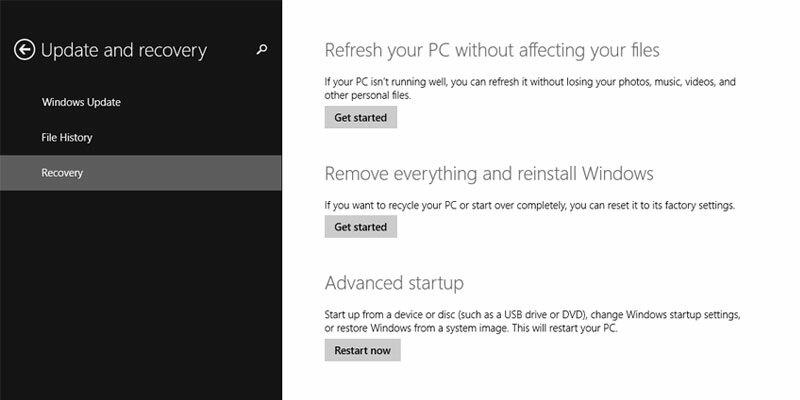 Windows 8.1 : Open Charms Bar » Settings » Change PC Settings » Updates and Recovery » Recovery » Click on Restart Now Button Under Advance Startup Section. If your Windows 8 system is not starting properly, not even reach to desktop screen, or seems to be corrupted somewhere in start so you will require Windows 8 DVD to access advance startup options. 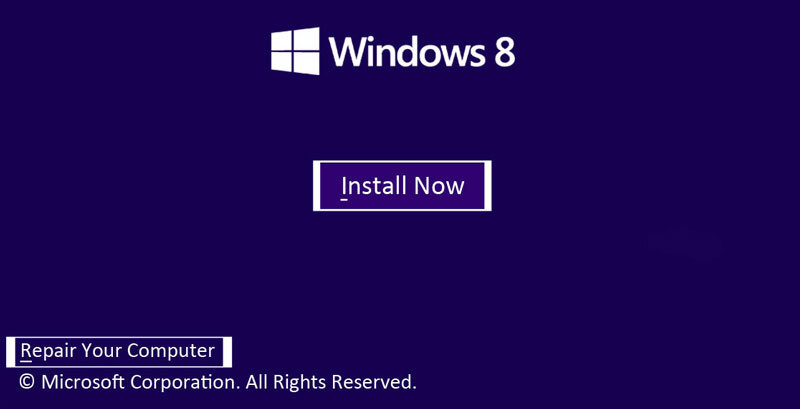 To access it just boot your system with Windows 8 DVD and reach to Install Now screen. On that screen just click on Repair Your Computer; it will navigate system to Windows 8 advance startup options and you can perform further troubleshooting steps from there. This option is most used method because while repairing your computer if Windows found that some files are missing then it will again ask you for Windows 8 DVD; and on this option DVD is already there so it is most quickest and reliable method. This time Microsoft has made one smart change in its new Windows 8 that if PC / Device not getting started successfully for 3 times then on next boot Windows will automatically go in advance startup options to repair the system. These are the 5 different ways to access advance startup options in Windows 8. After performing any one of above method you will be navigated to choose an option screen. 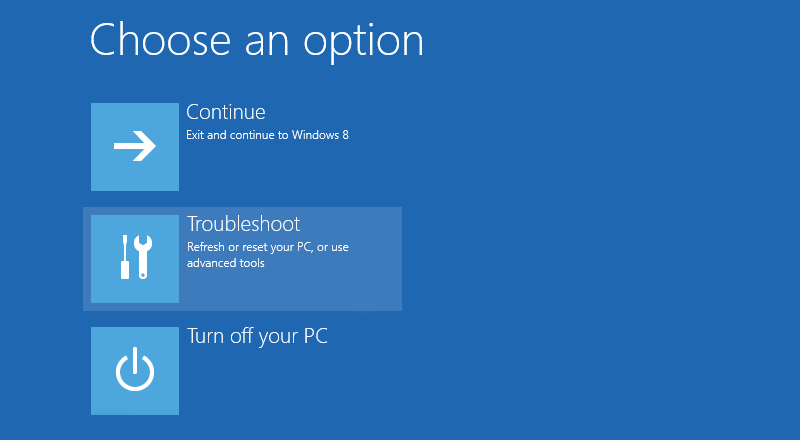 There you have to select Troubleshoot in order to access troubleshoot options. Now you will be forwarded to next screen that is Troubleshoot screen. Here you will see three options here you have to select Advanced Options. 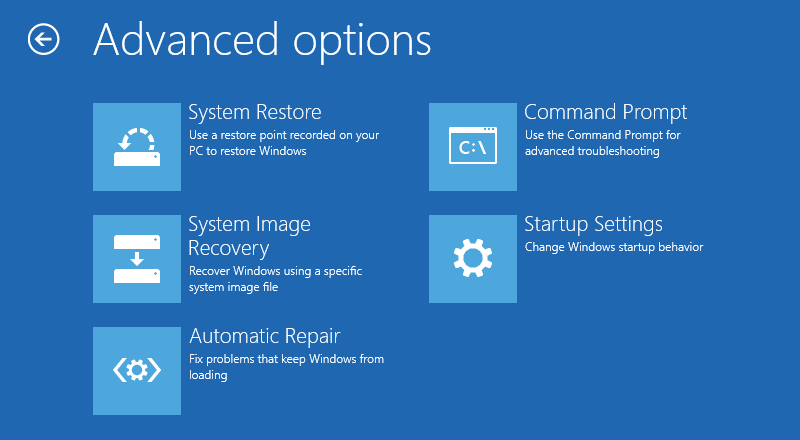 Now you will be forwarded to next screen that is advance startup options or WinRE (Windows Recovery Environment) screen where you can perform all the possible repairs with your computer system. Here Windows 8 allows you 5 different ways to repair your computer. Here you can restore you system to last good time, restore your system’s with recently backed up image, perform an automatic repair if windows is stuck while starting, and you can access command prompt to perform some command level troubleshooting. You can access some more options in Startup Settings which will navigate you to some more options in which you can access low resolution video mode, safe mode, safe mode with networking and safe mode with command prompt like options. This is the complete path to access advance startup options in Windows 8 and all ways in which you can perform various troubleshooting steps when windows is stuck or messed with serious some issues.